500 mL Emergency Survival Water Bag | BUDK.com - Knives & Swords At The Lowest Prices! Perfect for your bug-out bag, automobile and boat, this emergency water bag is a must-have accessory for the survivalist. It holds up to 500mL of water, or slightly more than two cups, making it a great way to have super-fast access to quality drinking water in an emergency. The PAPE material is BPA free with a 140-micron thickness. It comes with an attached plastic screw cap. 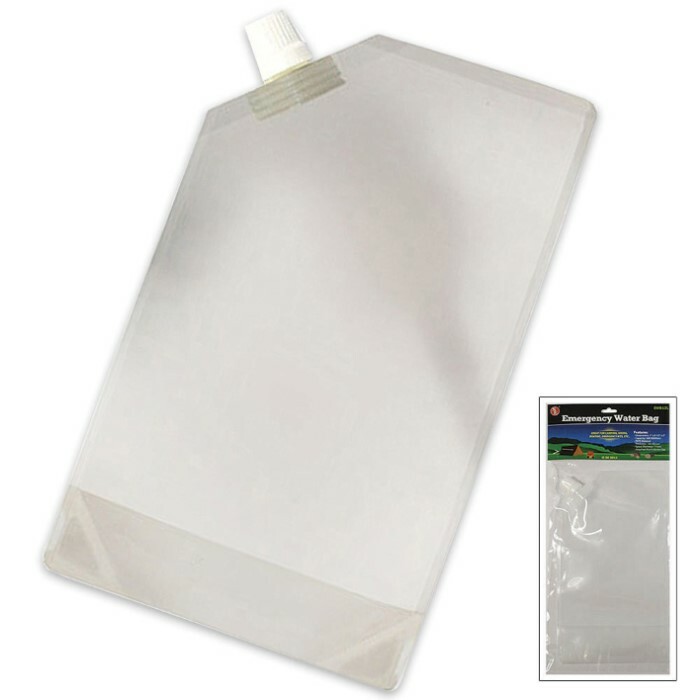 This emergency water bag is also ideal for camping, hiking, boating, etc.